Bob has earned a host of accolades in his career that include being inducted into the Cal Poly Pomona College of Engineering’s Hall of Fame, receiving the Cal Poly Pomona Alumni Association’s College of Engineering Distinguished Alumnus Award, and being honored with ACEC’s Lifetime Achievement Award. 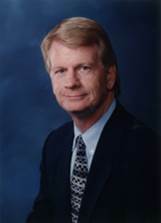 Bob Kallenbaugh, P.E., received his BS in Civil Engineering from Cal Poly Pomona and his MS in Civil Engineering in Civil Engineering from Stanford University. Now retired, Bob has previously worked at the Orange County Flood Control District and RBF Consulting. Bob is known for his entrepreneurial spirit, track record of leadership, and lifelong commitment to his community. Bob now resides in Coto de Caza with his wife of 44 years, Chris, and their three sons, Kevin, Bryan, and Mike. His most gratifying position was CEO and Chairman of the Board at RBF Consulting. Under his leadership, RBF Consulting grew to nearly 1,100 people in the Western U.S. and was named by the C.E. News in 2005 as the “Best Civil Engineering Firm to Work For” in the U.S. Bob was instrumental in helping the company become one of the leading engineering and consulting services firms in the West, specializing in complex land development and master-planned OC communities.